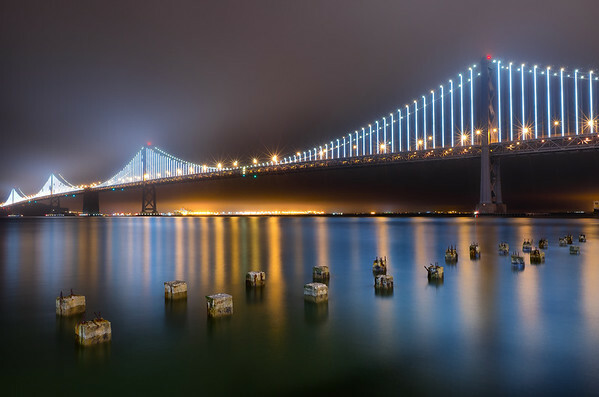 The new, but somewhat temporary lights on the Bay Bridge are almost mesmerizing to watch. The display is only up for the next two years. Although the computer generated patterns repeat over the course of a few minutes, each visit brings different conditions for which to view them. The fog layer was very low here creating a canopy of light to set off another lovely Bay Area evening.